The effects of excipients on the accuracy of tablet subdivision are severely underinvestigated. 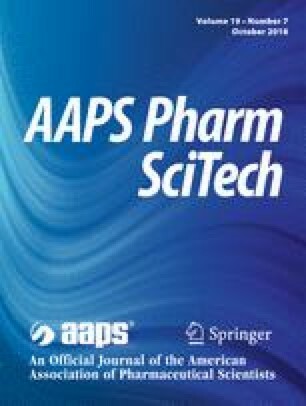 In this study, placebo tablets were prepared using a combined mixture design of fillers and binders to evaluate the effect of these excipients on subdivision accuracy. The responses assessed were mass loss, mass variation, tablet fragmentation, and increased friability. Dicalcium phosphate dihydrate (DCP) gave rise to more uniform and denser tablets than microcrystalline cellulose (MCC), thus resulting in greater subdivision accuracy. The binder type, hydroxypropylcellulose (HPC) or polyvinylpyrrolidone (PVP), did not affect the subdivision of DCP tablets. On the contrary, the structural similarity between HPC and MCC led to improved subdivision accuracy for MCC tablets. A less accurate subdivision was observed in tablets prepared with a DCP–MCC combination; this finding could be attributed to irregular binder distribution in this matrix. An optimized response was built using desirability analysis. This study helps to illuminate the relationship between fillers and binders to guide formulation scientists in the development of tablets with better subdivision performance. This research was supported by the Brazilian agency CAPES.